Over Labor Day Weekend, Arizona police issued a four-day statewide DUI enforcement crackdown and arrested 582 people on suspicion of DUI. That’s 79 more than last year, or about a 16 percent increase. 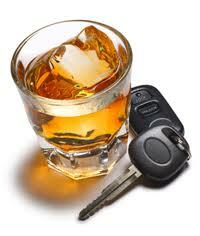 Of those arrested, the average blood alcohol content was .145. DUIs in which authorities suspected drug use increased about 21 percent from last year to 103. The categories with the biggest increases from 2013 were liquor citations issued to people under 21. Recently, Phoenix Suns player P.J. Tucker was arrested on suspicion of “super extreme DUI”. Tucker’s blood alcohol content registered at .201 on a preliminary breath test in the field, according to Scottsdale police. A blood test administered after Tucker was taken to jail and later analyzed by the Arizona Department of Public Safety showed his blood alcohol-content to be .222, according to the police report. An experienced DUI attorney knows the right defenses to secure minimum penalties and the best possible outcome for you. The relationship you have with your DUI attorney makes it possible to be open and forthright about anything related to the alleged crime, but you should not talk about the case or make any admissions to anyone other than your attorney. If you are arrested, have received criminal or DUI charges, or there is an outstanding warrant for your arrest, contact the English Law Firm as soon as possible to discuss your matter and defense options. If retained, Mr. English will protect your rights and provide an effective defense on your behalf. This will increase your chances of being treated fairly and obtaining a more favorable outcome in your case.